This ProTrainings Qualification is suitable for those already working or for those wishing to prepare to work in confined spaces. 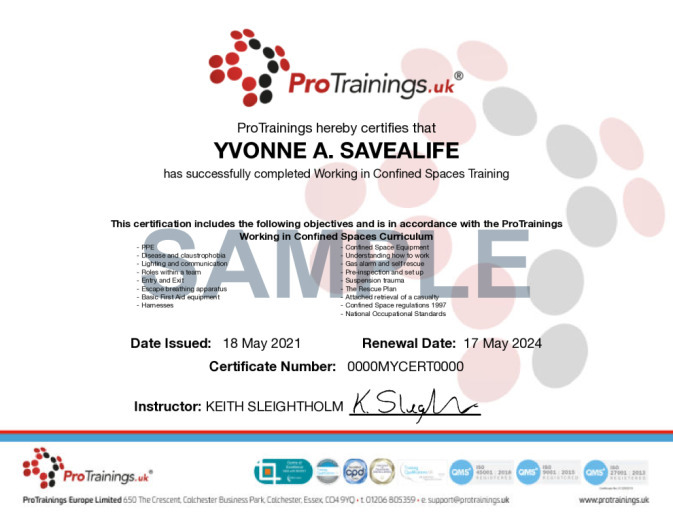 The general principles of working in confined spaces are covered in this qualification, providing the learner with an understanding of key issues relating to working in confined spaces. This is our international version. If you are in the UK please select our Health and Safety Level 2 course. This course comes with 4.0 hours of CPD, although the time to complete the course online may be less than this. Total course time includes 2 hours and 5 minutes of video training as well as knowledge reviews, final test, remedial help and reviewing downloaded material.